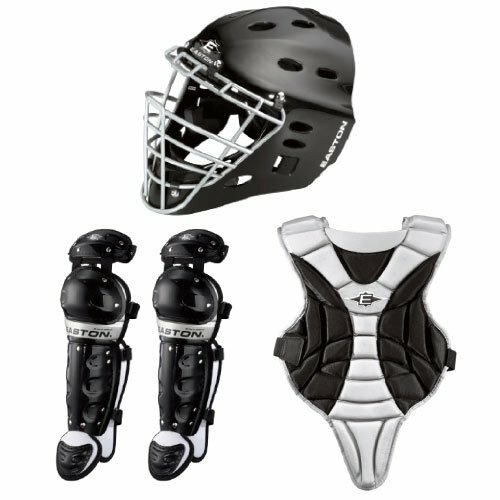 A catcher needs a gear set that will not only protect him but does not also hinder his mobility, and this is what the Intermediate PG Series 5 promises to offer. It has a beautiful helmet with a glossy finish and a steel cage for maximum protection. 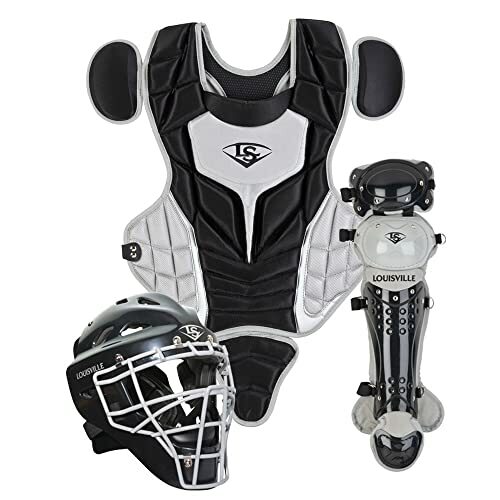 The chest protector has high-density foam padding while the shin guards have a double kneecap design and anatomic design to ensure they always move with your body. Helmet: The helmet on this set can fit heads that are up to seven inches big, and it comes with a chin pad that has a moisture-wicking feature for extra comfort. It has a high strength steel cage for maximum protection, but its design ensures that it will not hinder a catcher’s vision. The helmet also has a glossy finish that makes it very attractive and air vents to help in air circulation. Chest Protector: This chest protector is 14 inches in size, and it has high-density foam padding for maximum protection and to ensure minimal rebound. It also has precision pad design to make sure that it moves with your body and a harness system for the shoulders for a perfect fit. Shin Guards: These 14-inch leg guards have a unique double kneecap design that will give a catcher extra protection and an anatomical design that will make sure that they do not drag you back as they will move with your body. They also have some durable straps that will keep them in place at all times. Colors: This set allows you to choose from a dozen different color combinations so that you can get something that matches your team. It is available in more than 12 distinct color combinations. The price is excellent, and the quality is top notch. This set fits well and also leaves little room for the player to grow. The set is easy to wear and remove without any help. High-Density foam on the chest pad ensures minimum rebound. It has a glossy finish that makes it look very stylish and modern. Leg Guards have double straps to ensure that they always remain in place. It does not come with a bag like other sets from different brands. The set does not have a throat guard, and so it might not be compliant for some leagues. Some buyers complain of the elastic on the lower part of the helmet being too short. The mask appears quite tight and most intermediate catchers will not use it for long. It is hard to mention high-quality softball equipment without talking about Louisville Slugger because they are an industry leader. For some people, this should be enough reasons for them to buy this set. 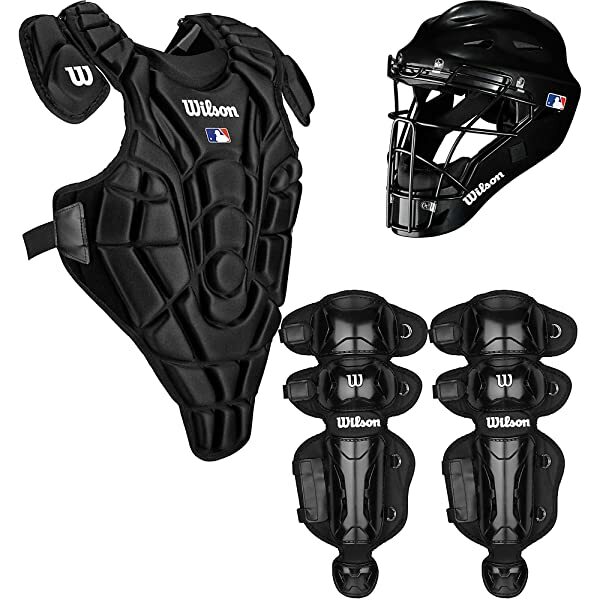 However, the catchers set is also top notch, and it will not only offer a player enough protection but it also helps to improve their overall performance. This set comes in a variety of color combinations, and so you can almost be certain that you will get something that matches your team’s colors. 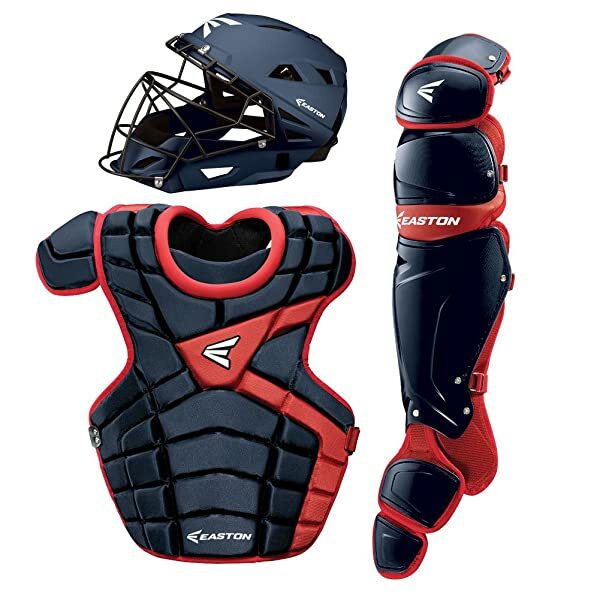 It also has many other advantages, and they include things like the attractive price tag, impressive and protective padding on the chest protector and the fact that it fits perfectly. 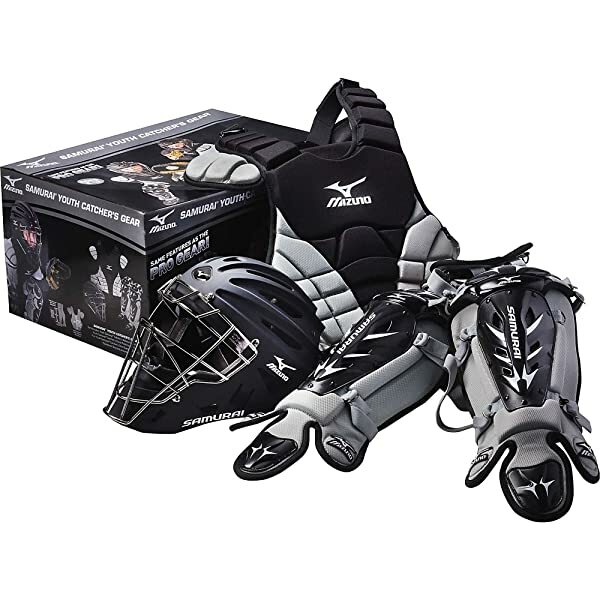 But, you should not overlook the few complaints from some catchers such as the fact that you do not get a bag for storing the kit and the lack of a throat guard. Even with all the negative things considered the fact remains that it is an excellent catcher’s set that is worth buying.